On October 28, 1884, the winds were beginning to pick up as the SS William Hope sailed towards its destination, Burghead, on the North Sea coast of Scotland. Their goal? Pick up cargo, as was their task. The morning started out promising and the crew didn’t anticipate much trouble. After all, the journey wouldn’t be too arduous. Sailing from Fraserberg to Burghead, Scotland, wasn’t a long or dangerous voyage. They were on the same coast, it was really just a matter of crossing the waters in short order. Yet, the winds were threatening something altogether different for the crew of William Hope. By 8:00 am, the captain realized that things weren’t right. The hard winds began to push the ship towards the rocks. The light load of the vessel meant it couldn’t stay on its course for long. The struggle was titanic, as the crew fought tooth and nail to keep their vessel away from rocks that would undoubtedly destroy them. Hours rolled by, but conditions weren’t improving. The captain, in a desperate bid to escape the dangers, decided to alter the course — they were to sail to Aberdour Bay. With its engine failing, the ship was left purely at the mercy of the winds and the waves. 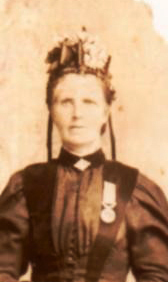 Jane Whyte, hero of the shipwreck rescue. They ran aground close to the shore, and with the engine gone, there was little to do other than drop the anchor and hope for the best. I have not checked in here for a while because I thought it was getting boring, but the last few posts are good quality. I guess I’ll add you back to my daily bloglist. Hello! I’m at work browsing your blog from my new iphone! Just wanted to say I love reading through your blog and look forward to all your posts!